Sharing the joy of creating and keeping good company. Yesterday, the Boy Scouts of America voted to lift a ban on openly gay youth. Read the article by Miranda Leitsinger and Jason White of NBC News by clicking the link above. Scouts is a huge part of our life. 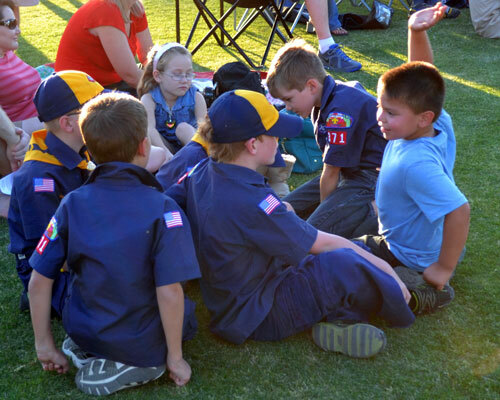 My boys are still very young so we are involved in Cub Scouts which is for first grade through fifth grade boys. 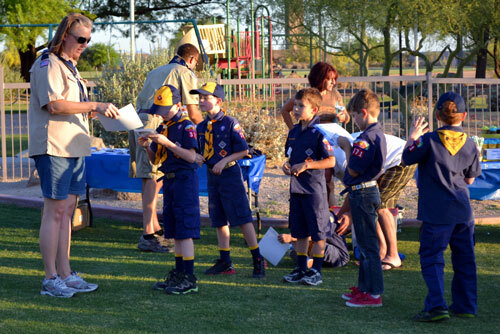 At the end of fifth grade, Cub Scouts cross over and become Boy Scouts. 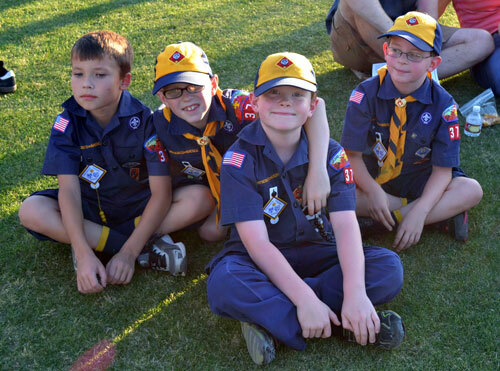 We love the values and skills that Cub Scouts teaches as well as the friendships and fun it offers! I was David’s Tiger Den leader when he was in the first grade and I am now the committee chair for our pack working to coordinate the dens, plan pack events and keep paperwork in order. It adds a bit to my already full plate but it is worth it. I love my boys and I love what they are learning through Scouts. 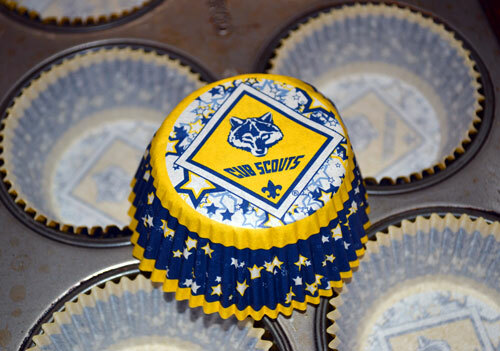 I love Scouts. I also make the cupcakes. Nathan isn’t officially a scout yet but he loves “Hub” Scouts and can’t wait until he becomes a “Tiger” in first grade. I can’t imagine someone telling him he couldn’t be a Scout because he was different or he wasn’t what they deem acceptable. His heart would be broken. This post is not about debating morality or gay rights. I am thankful and proud to be an American. I believe in the constitution and the principles this nation was founded on and am deeply blessed to enjoy the freedoms that we have in this country. Those freedoms are for ALL. Whether we agree on everything or not. You can disagree with me. It is okay. Many people I love and respect will disagree. I will still love and respect them. My heart is led to err on the side of compassion and love. To welcome and walk along side my neighbor. Some details I will leave to God. America needs Scouting! Boys need Scouting. We need to be reaching out and sharing the adventure, not pushing people away. David and some of his “Wolf” buddies. One parent had this to say “we’re very disappointed. 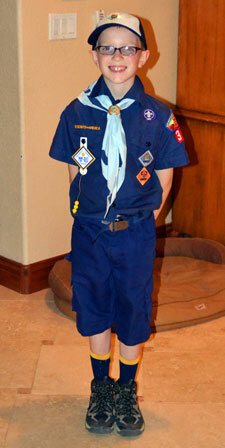 I will compare it to a funeral.” His son expressed concern about being allowed to remain a Scout. “I hope I can continue,” he said. “It depends if my parents feel safe to let me stay.” I find that so unfortunate and very sad and I hope very much that he gets to continue on his journey as a Scout. A boy scout who is gay is not a threat to my boys. Allowing my boys to think they have a right to be exclusive or elitist or can turn their backs on people because of differences is the threat. It is my job to teach my children what we believe and it is my job to teach them to walk in love. It is my job to “show” others what I believe in the way that I act and live my life. I will teach my children about a dream where people are judged by the “content of their character”. Remember that dream? I will teach them to be compassionate, even in disagreement. How did you show love, compassion, humility, grace, mercy, hope? How do we “show our Jesus” if we exclude, push away and turn our backs? I think yesterday, the Scouts “showed their Jesus” and I may just start sportin’ one of those “I’m proud of my Cub Scout” stickers on the bumper of my ride. Which is a mini-van. Oh yes, I am a Scout mom. And I make a mean cupcake. Last week, my boy became a Bear. He completed all of his achievements and graduated from the second grade rank of Wolf to the third grade rank of Bear. David receiving his recognition and awards from the Wolf Den leader, Eileen. I like to call her Ethel – take a look at my Scout Halloween Party post if you want to know why. 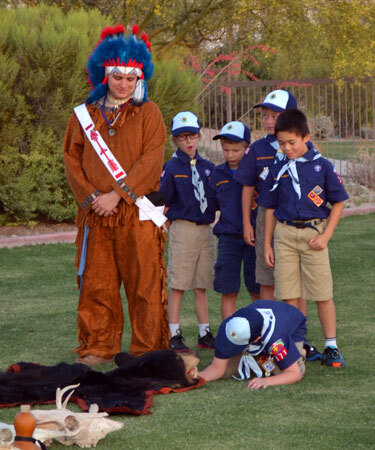 Part of the Wolf badge ceremony. I sure wish I had a picture of the looks on their faces when they had to drink wolf’s blood. Well it was V-8 juice but I think it may have actually been more palatable to them had it been actual wolf’s blood. I truly thought it was coming back up with a few of them – which would have made the ceremony all the more exciting. 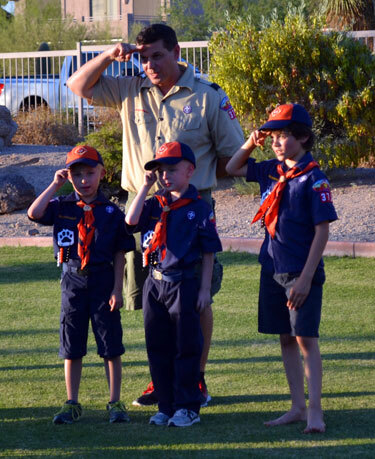 Our Cub Master and our youngest Scouts, The Tigers, getting ready to become Wolves. Our Bear Den getting ready to move up to the rank of Webelo. We didn’t promise it would be without peril. 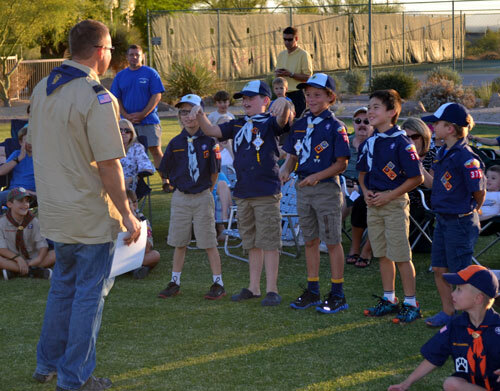 I love that members of our local Boy Scout Troop conducted our ceremony. 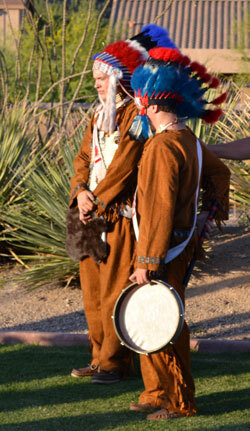 They help us out with a lot and it is good for the younger boys to interact with the older Scouts. If you have a boy of scouting age, I hope you will consider Scouts. The boys can join anytime and will automatically be placed in the appropriate rank for their age. Don’t worry if your boy didn’t start as a Tiger, there is a place for him and he will transition in easily. 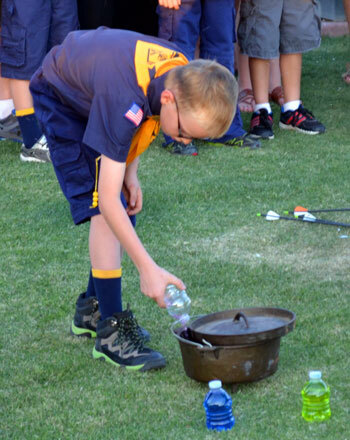 If you are interested in learning more about Scouting, please visit the BSA Website or contact your local Cub Scout Pack or Boy Scout Troop. There is also Venture Scouts which girls are welcome to participate in. I promise you, adventure, friendship and fun awaits! Look, my boy is a Bear and is beyond excited to leave soon for camp with his dad – who will be the Assistant Cub Master next year because his wife volunteered him. Lucky for me, he’s a good sport and loves Scouts too. This entry was posted in Cub Scouts, Faith and Following Jesus, Family, Kid Stuff, Motherhood, Welcome Company and tagged Boy Scouts, boy scouts of america, BSA, BSA votes to end ban on gay scouts, Cub Scouts, faith, family, family values, fun activities for boys, Motherhood, Outdoor Activities, Parenting, teaching children values, values on May 24, 2013 by Welcome Company with Danielle. How to become a Broncos fan and make the best hot wings; just in time for the big game! The Spirit of Arizona – Happy Veteran’s Day! Assemble the Minions! 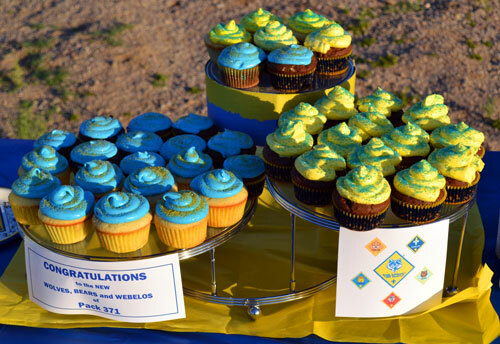 We’re Celebrating “Despicable Me” Style! Popular Posts You Might Enjoy Too! She's in France Celebrating her Six Month Blog-iversary! Summertime and the Schedule is Craaaazy! Avocado Mango Salad, a Cinco de Mayo Must! Simple. Rustic. Delish. Life is Good.